To investigate the language of the moving image. 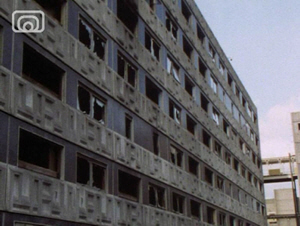 I can write an essay about two short films, 'City of Glasgow' by Louise Annand, and 'Clyde Film (clip 1)' (1) by Cranhill Films, comparing and contrasting how the directors have manipulated aspects of the films – such as sound, music, camera placement and camera angle – to make specific points and/or deliver a message. NB. There are other films similar to these from other cities and teachers there may wish to adapt this unit for their own locality. Teacher explains the Learning Intention and the Success Criteria. Background discussion of Glasgow’s recent (post WWII) history. Teacher elicits as much information about what the pupils think Glasgow was like. This could be collated on Smartboard/Whiteboard. Teacher explains that they shall be looking at two short films which look at Glasgow’s past, and pupils have to be aware of what the film director is trying to say. 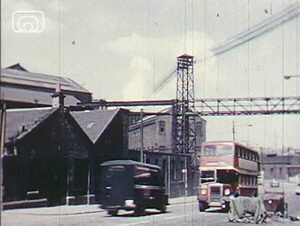 Watch the silent film, City of Glasgow. It will probably be necessary to watch the film a few times. The film is broken into sections by various captions, it is helpful to discuss each section individually, as well as part of the whole, with pupils. What kind of things are shown in each section. Old Industry - is it healthy? Derelict Houses/ Abandoned Tenements. Compare to the rich areas. We are seeing two sides of Glasgow. Modernisation is coming into play – things changing for the better. Hopeful. The aspiration to make a New City. Look at the view of the dock from the University –what is the director showing us? The School of Art. Science. Agriculture. The director is saying that knowledge and education is important for the future. It may be helpful to draw a grid. What do you see? What is the director saying? This can be done in a GROUP/PAIR. Arrange to suit. Teacher should stop film on a scene by scene basis, and discussion can take place. Once this task is completed collate answers using grid on Smartboard/White screen. The second column should provide scope for discussion. What is the overall TONE of this film? What cinematic and narrative storytelling devices are used to achieve this? Elicit answers by reference to the use of shots, cuts and angles, as well as sound and sound edits. Discuss clean litter free parks. The weather – what does that add? The director is trying to show a modern healthy city looking to the future. Has he/she been successful? Discuss. Recap on previous knowledge – the positive ideas depicted and how the director manipulates the images. 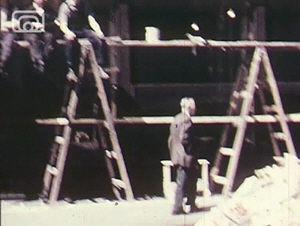 New film – Clyde Film (1) – is introduced. Recap on the main idea, how we are manipulated/ what we are looking for. This film has both sound and vision. Pupils view Clyde Film (clip 1) through to end. What are the main differences between this film and the first? Teacher should elicit ideas of things being horrible, miserable, broken, dirty, untidy, abandoned, destroyed– as opposed to the optimistic view in the first film. Draw a grid in order to help a close examination of the content of Clyde Film (1). A quick recap on previous knowledge re. camera angles and their function. What we see. What do we think about this? We see a city (Glasgow) in a valley. The sound of the foghorn makes us feel that something bad is going to happen. It is not a nice sound. Pupils are given, or can copy, grids to complete. This can be done in pairs. Teacher should stop film on a scene by scene basis, and discussion can take place. Although discussion will vary widely from situation to situation, a few general points could remain constant. What the opening sequence prepares us for. Then deconstruct the other sound/images that are presented to us:. Shots of bulldozers pulling down old houses. Debate, good or bad. Close up of fire burning? What are the ideas behind that? What is being suggested? Panning shot of people looking out of their windows. Listen to the street sounds. Comment. New high rises being built. Examine the images, listen to the sound track. Mouth organ music, is it pleasant? The words in ‘I belong to Glasgow’ have been changed, what is the message. What message do we get from the pictures/song. Look at the action, what is going on. Dumping in the river - how are we treating our town? Is this good for our environment? Look at the slow panning shots, piles of waste. Children are calling, is it happy or sad voices we hear. Look at the weather – grim and grey. What does this add to the tone of the film. 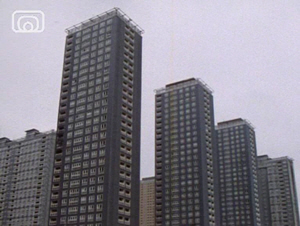 Long shots of waste land with high rise buildings on them. Are they nice? What is happening to the people? What shall they do? Will they like the changes? Discuss. Look at the panning shot of the boarded up houses. Listen to the sound track – what is the director saying? Panning shots of back courts, messy rubble strewn all the houses smashed and broken. Zoom in on the flat with the old man. Is it a surprise that anyone is living in those conditions? Look at old man. Is he sad, happy, frightened? Describe and discuss. What will his house be like inside? Will it be luxurious? Listen to the music and the children calling, what does it make you think of? Close ups of young people sitting on the street. Look at their surroundings? Could they be doing anything else? What is the director showing us – remember there have been lots of images of destruction and ruin already. Long shot of interior of abandoned factory. What do you see, look at the colours, listen to the sounds. What would this factory have been like in the past? Think about the number of people working and being employed here? Again we see long shot of high rise buildings in waste land. Do they look like nice places to live? How would you describe them? What is the director showing us? What is the director reminding us of? Close up of young man looking out of the broken window. Look at the weather, the atmosphere – cold and grey. Is the young man happy? Describe him. What is he thinking about? Is he looking forward to the future? What is his future going to be like? During the discussion, elicitation of responses and ideas, teacher should make sure that the grids are being completed. This will provide scaffolding for the written task. Once this task is completed answers could be collated using grid on Smartboard/White screen. Teacher may or may not feel that it is necessary and/or desired. Using your grids and discussion notes complete one of the following tasks. 1) Compare and contrast the messages behind the short films ‘City of Glasgow’ and ‘Clyde Film 1’. Discuss what these messages are, and mention how aspects of the director’s craft, such as camera angle, light and sound, convey these messages to us. 2) Imagine you are the old man in ‘Clyde Film 1’. Describe his thoughts and feelings as he looks out of his window. Write about how things might have been when he was young, what his hopes for the future were, and how he feels about things now.